participants with any ranks must be younger than 18 years old(North America). 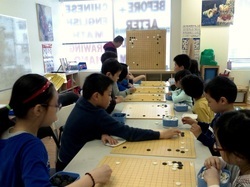 We provide go classes for children. Subscribe to our mailing list to get updates on upcoming events, tournament and other news. We will also send out lectures and other lessons soon.